"From time to time and unexpectedly"
"At the doors of food shops, long processions of women pushed impatiently. The common woman alongside the aristocrat: both were united by the same thought. Both envisage the coming painful hours during which their hearts would ache in rhythm with the groans of the children for whom they are unable to calm the pangs of hunger." In 1915, the people in charge of the public presentation of the functions of the CNSA (National Relief and Food Committee) used these words to describe the powerful image of hunger as part of the official distribution of food during the First World War. 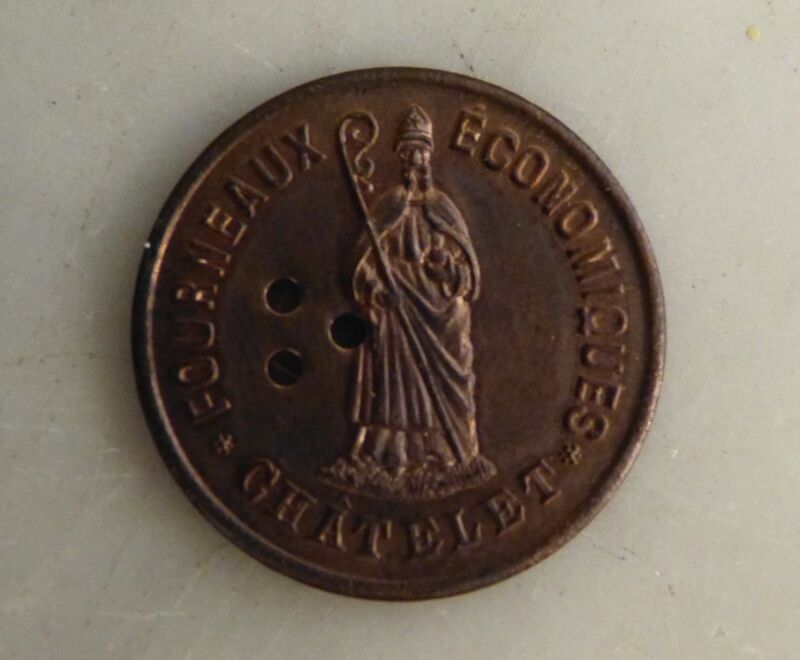 Starting in October 1914, the Communal Stores quickly became the heart of the food trade on the national level. Imported, purchased and repurchased locally by the CNSA and the Commission for Relief of Belgium (CBR), foods crossed the country and ended up on the shelves of the official stores. 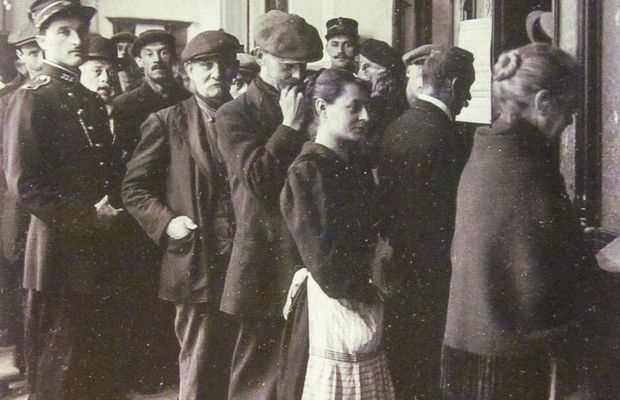 Often victims of the malice of profiteers and hoarders, the managers of the Communal Stores were faced, everyday, with one of the greatest duties during the war period: supplying households with basic necessary foods, while attempting to follow the official instructions imposed by the CNSA, the CRB and the German authorities. Flour, potatoes, sugar, lard, fruit syrups, corn flour, vinegar, chocolate, ham, beans, rice, rutabagas, apples, honey, milk, oat flakes, butter… according to the availability on the market and the operation of the transportation means, the shelves of the Communal Stores as well as the basis of the nutritional supply of the Belgians during the Great War consisted of these foods. Products of foreign origin imported into Belgium with the support of the CRB, as well as those purchased from national producers who managed to maintain their crops, crossed the country under the banner of the CNSA. 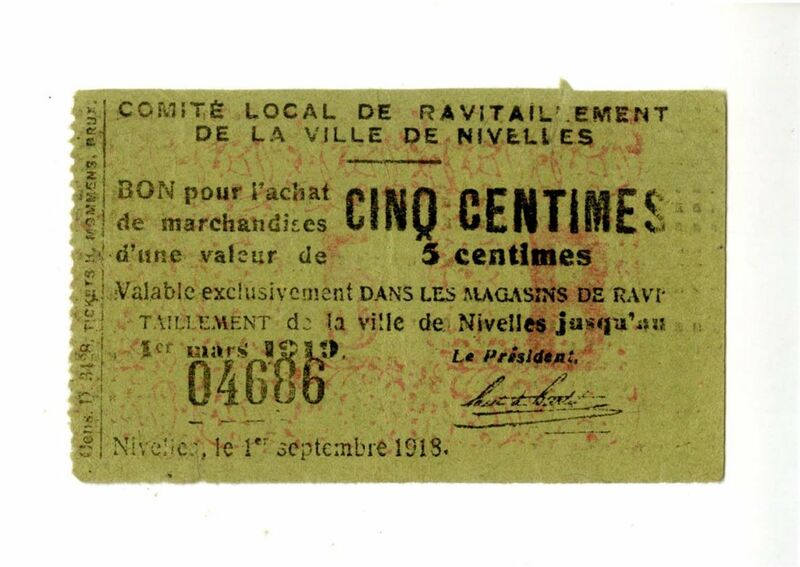 The products waiting in the Communal Stores in order to be distributed were marked, in a visible place for consumers and for inspectors, with the words "National Committee", "C.N.S.A", "Commission for Relief" or "C.R.B" printed on the packaging. 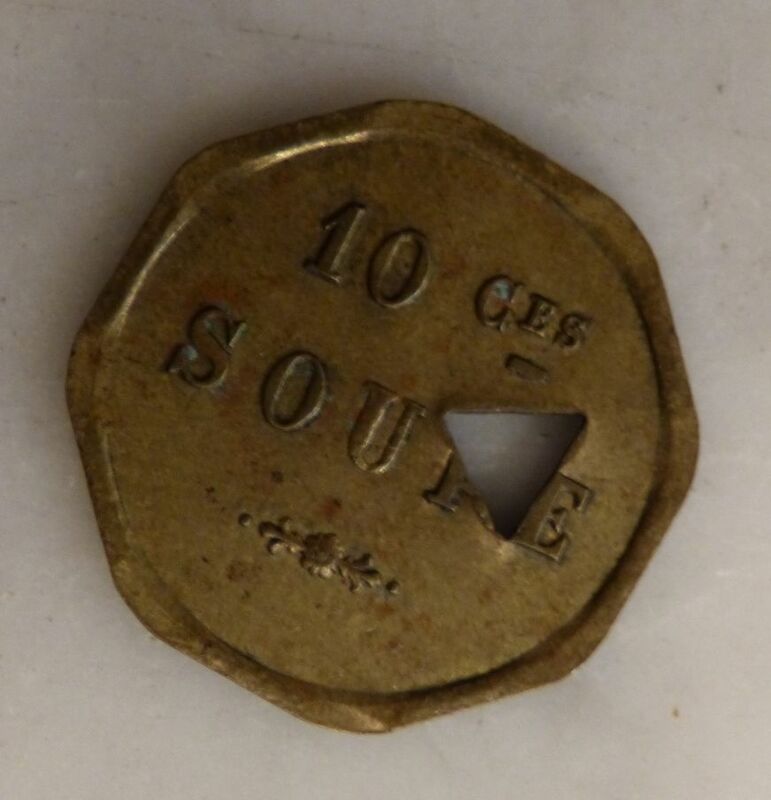 Under threat of severe punishment, the sale of any other type of non-baptised product acquired on the non-official market, as was the case of Dutch bread and sugar, was strictly prohibited. 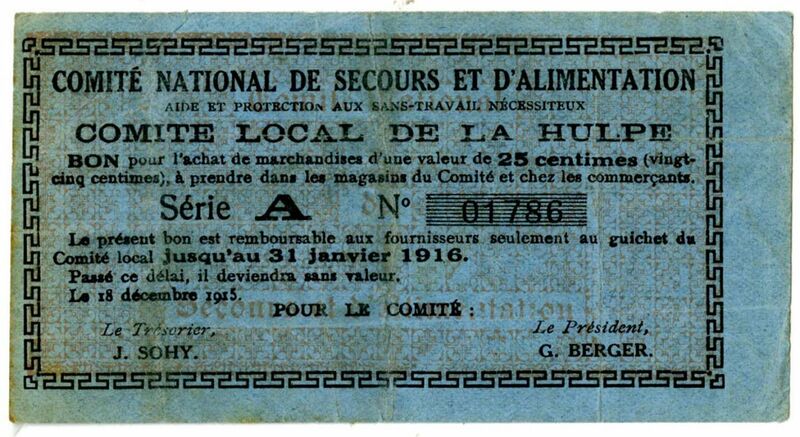 With the only duty of the CNSA authorised by the German authorities being to feed the Belgian civilian non-militarized population, the sale of foodstuffs in Belgium was part of a complex retail network in which intermediaries played a fundamental role. 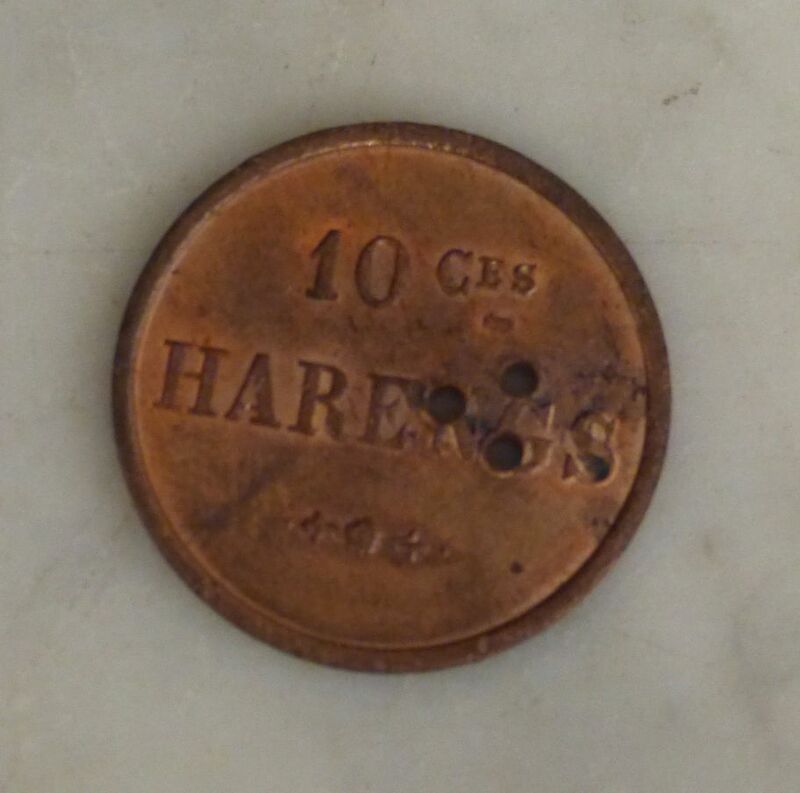 Certain foods went from hand to hand before arriving in the kitchens of Belgian homemakers, with the price gradually deviating further and further from the official rates with each operation. The difficulty ensuring a sufficient supply of fresh products thereby required the managers to find alternative solutions to resales motivated by economic profit and need.As such, donations from vegetable farmers, dairy farms and especially butchers were commonplace! Certain foods went from hand to hand before arriving in the kitchens of Belgian homemakers, with the price gradually deviating further and further from the official rates with each operation. 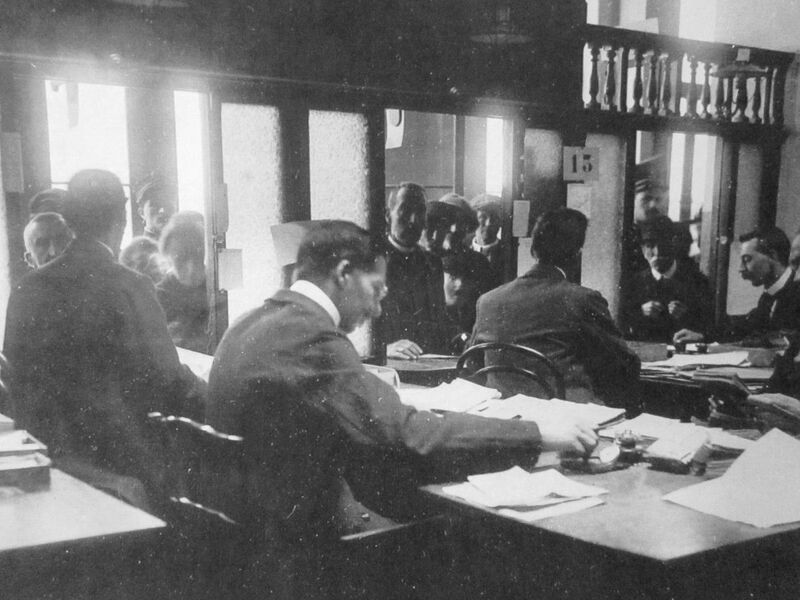 In the special situations in which provincial committees were unable to turn to charity to obtain the support needed to meet the food demands of their populations, they had to turn to lending institutions. Debt instruments were continually exchanged, with the hope of being able to repay them as soon as the horrors of the war come to an end. Debt instruments were continually exchanged, with the hope of being able to repay them as soon as the horrors of the war come to an end. 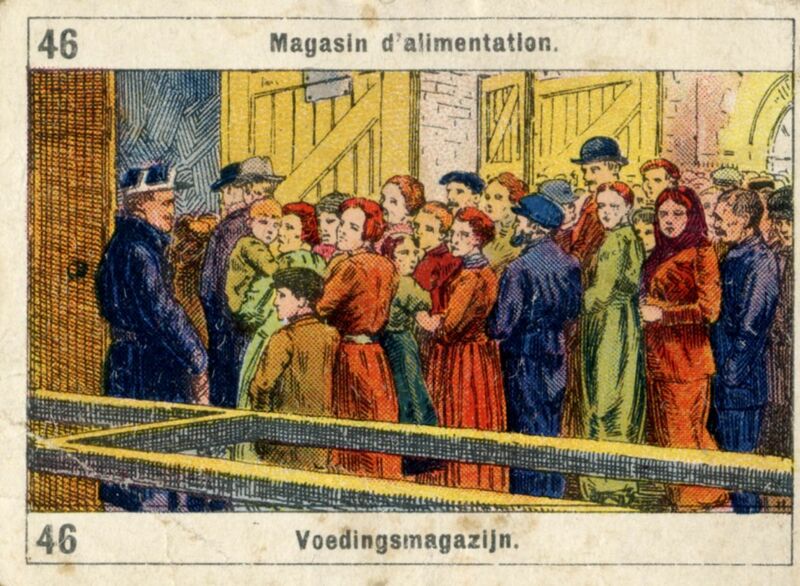 With a Household Card in hand, all Belgians above the age of 15 years had the right to obtain foods and basic need products from the Communal Stores set up in each province. 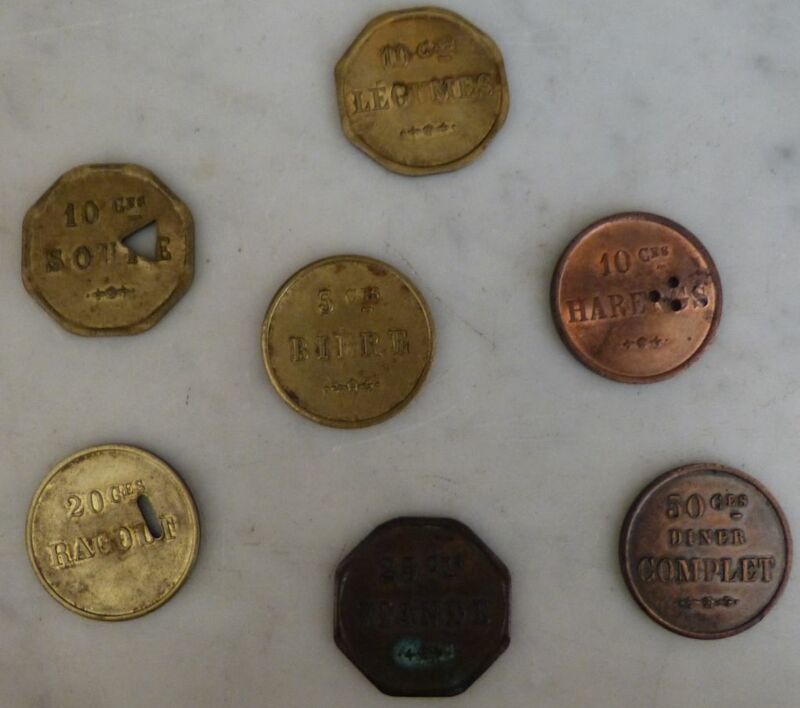 Employees, labourers, merchants, retired people, homemakers, young adolescents and children knew that their survival depended on the foods filling the shelves of the stores, that were sometimes improvised with pieces of wood. 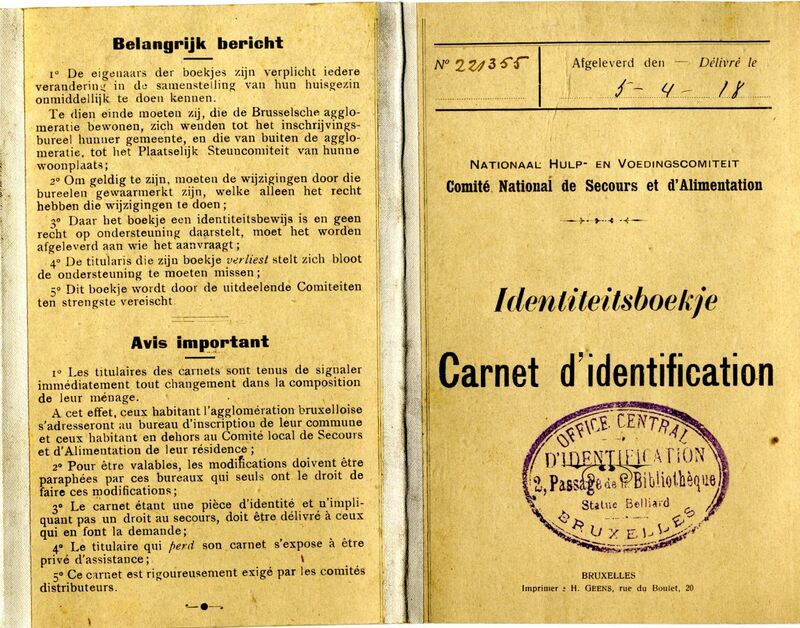 The Household Cards, along with the Bread Cards used in authorised bakeries, determined the foodstuffs and quantities thereof that each Belgian had the right to receive. 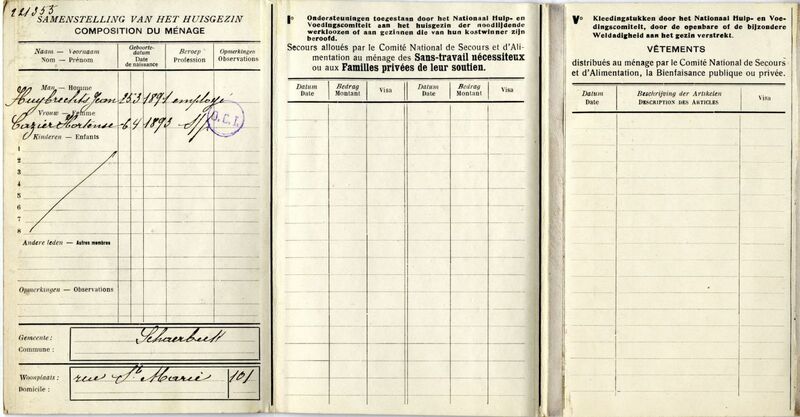 In an attempt to combat the trafficking of Household Cards (result of malice encouraged by need), the regulations obliged sellers at the Stores to request identity documents, introduced and generalized in Belgium during the conflict by the German authorities. Updated month by month, the Household Cards recorded the wages, number of family members and their ages, and whether or not they were receiving the various charities from the CNSA such as the Popular Soup for the destitute or the School Soup for children. 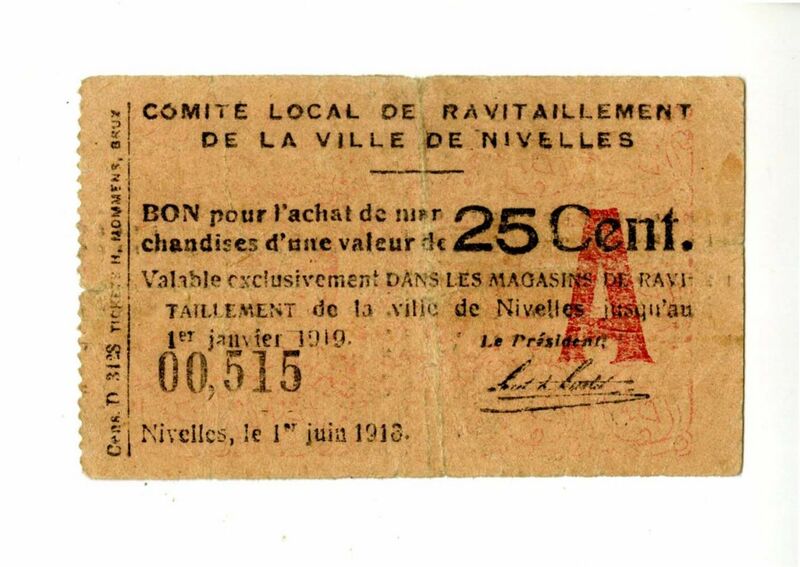 With these programmes, each day the aid recipients were provided with a ration of soup and at least 200 g of bread; to avoid double usage of the cards, these quantities were subtracted at the time of the distribution. The provincial, national and international food acquisition and distribution network set up by the CNSA in Belgium during the war years is one of the reasons why the committee was viewed as a state within a state. 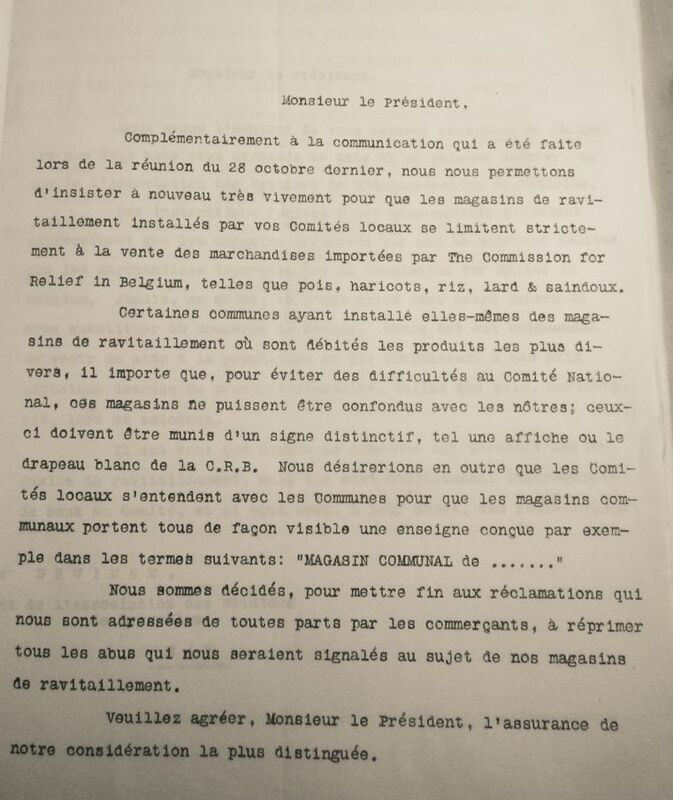 The retail distribution logistics depended on each provincial committee: depending on the specific needs of the populations, each month they provided the Committee's central head office in Brussels with reports in which they specified the quantities needed for the supply and the number of operating Communal Stores. The only exception for the sale of foods according to the official rates was the slight increase for certain luxury products. Intended to allow for investing any surplus in the improvement of other CNSA relief charities, this measure was intended primarily for the middle class. This public that wanted to and could still afford to bring home chocolates, alcoholic beverages, sugar, spices, olive oil and so on, for the composition of their meals. "After having announced their presence by ringing their bell, the criers have to give the inhabitants some time to approach them before starting to read the notifications that they are supposed to proclaim." 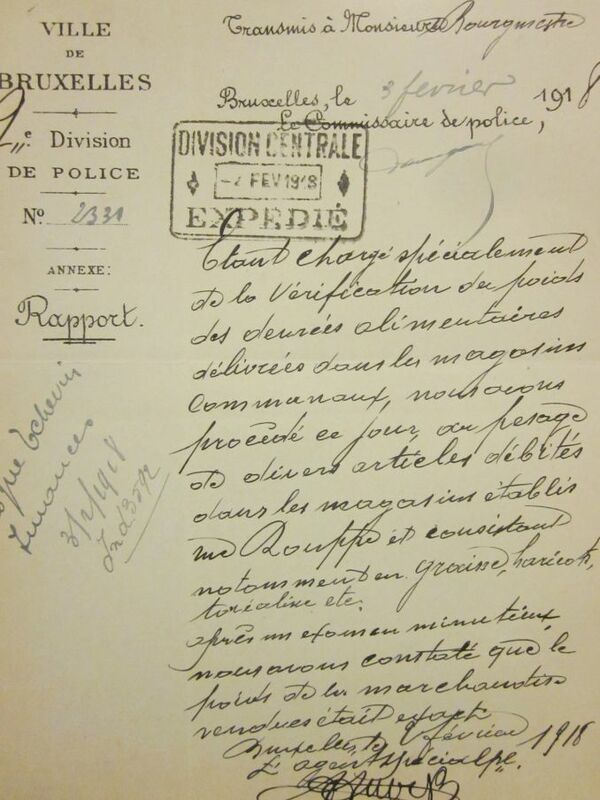 This note in a police report from the City of Brussels from 20 December 1917, describes the noisy image of these historical characters who were of great importance in the history of food sales: the town criers. Supposed to stay near the Communal Stores in the large Belgian cities from 9 AM until 7 PM (with a two hour break), these young men spent their days memorizing announcements that were waiting to be called out. 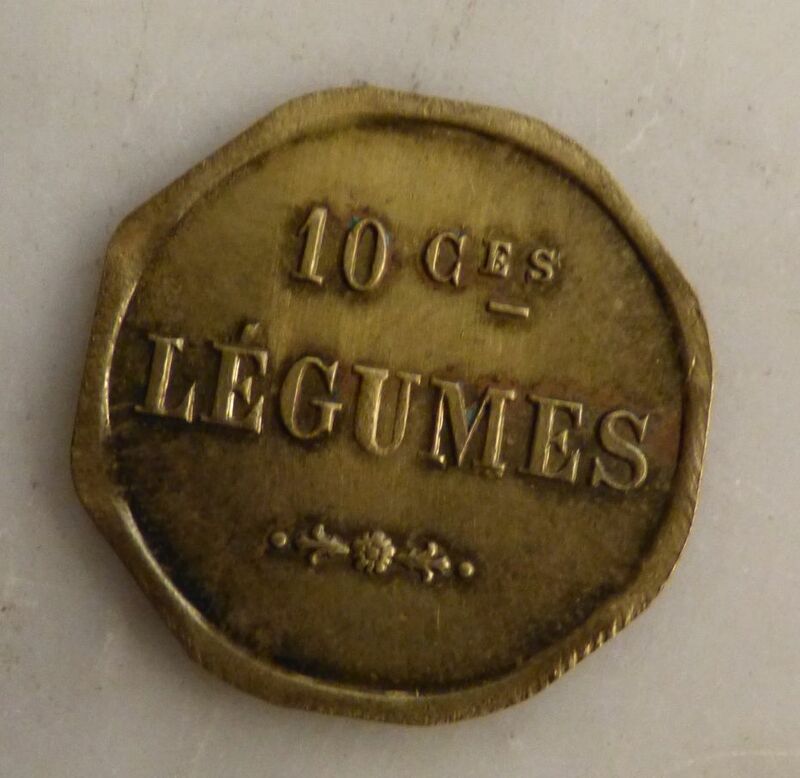 Paid 50 centimes per hour, the criers were in charge of loudly communicating the prices of foods and the newest arrivals on the shelves of the stores. Supposed to stay near the Communal Stores in the large Belgian cities from 9 AM until 7 PM (with a two hour break), these young men spent their days memorizing announcements that were waiting to be called out. Often criticized for not waiting long enough for the citizens to assemble in order to hear their announcements, or for using bells that were not loud enough, the town criers doubtlessly offered an information service that was very necessary in the period during which the concept of brands and advertising was barely starting to develop. "Certain employees of the stores in question are suspected of falsifying the scales or the weights in order to fraudulently appropriate the goods." 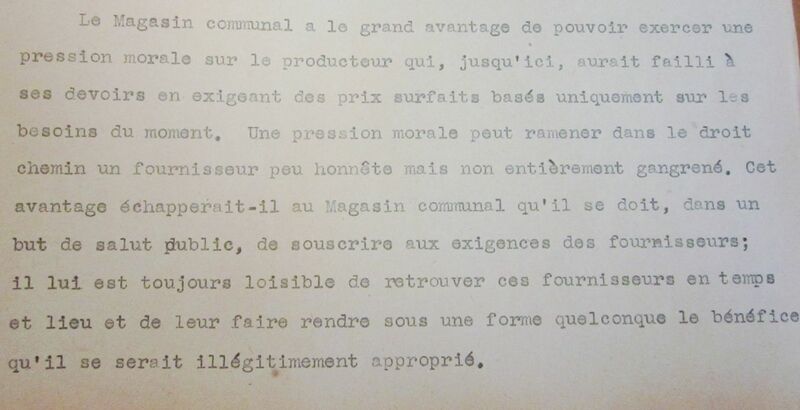 In this excerpt from a confidential appendix sent by the Brussels police to the CNSA directors in March 1916, we find the reason for which rigourous control of the Communal Stores was implemented throughout the country as of the first year of the German occupation. Often falling victim to a food market that was violated by falsifiers, hoarders and thieves, consumers did not have the means to identify all of the irregularities in the quantity or quality of the purchased products. 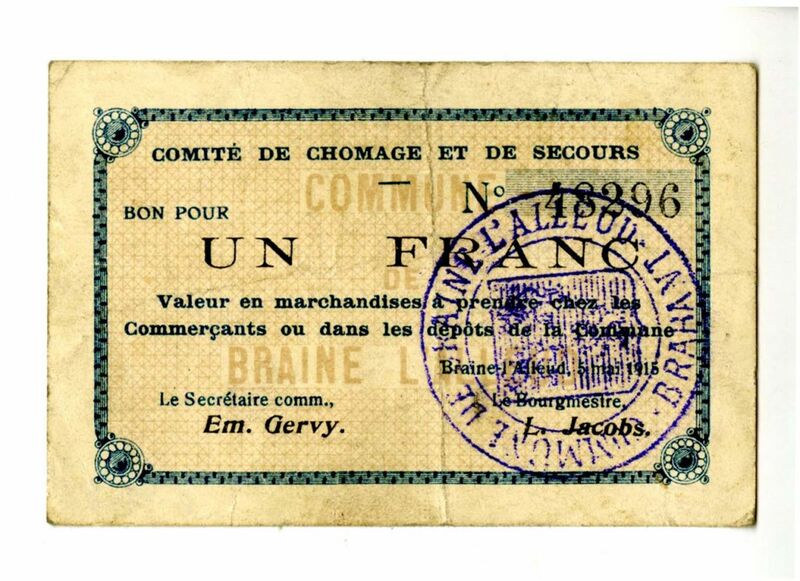 Each Belgian province had to find a means for maintaining the consistency of the quality and prices of the goods sold in the Communal Stores. 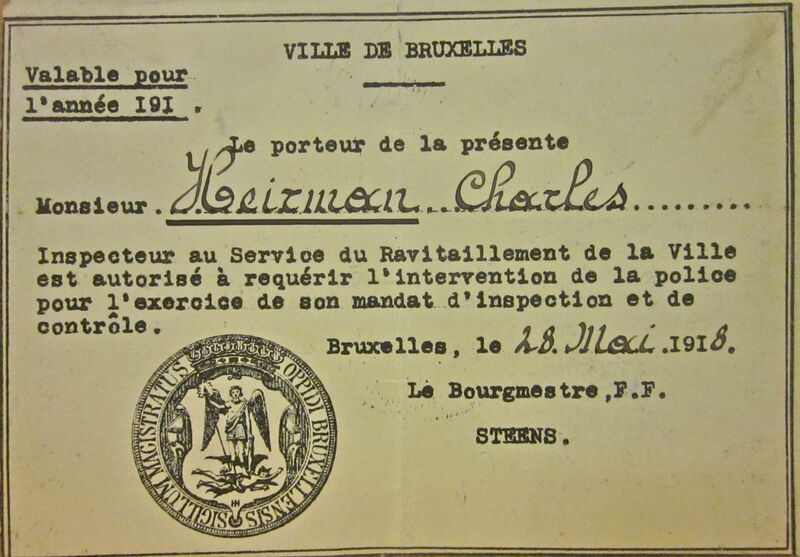 In the case of Brussels, a police section referred to as the "Committee guardians" had the task of identifying irregularities by performing inspections"from time to time and unexpectedly" as indicated in a police notification of 27 March 1916. Accompanied by dogs for their protection after a ban on carrying weapons, the inspectors were primarily tasked with verifying the weighing instruments. 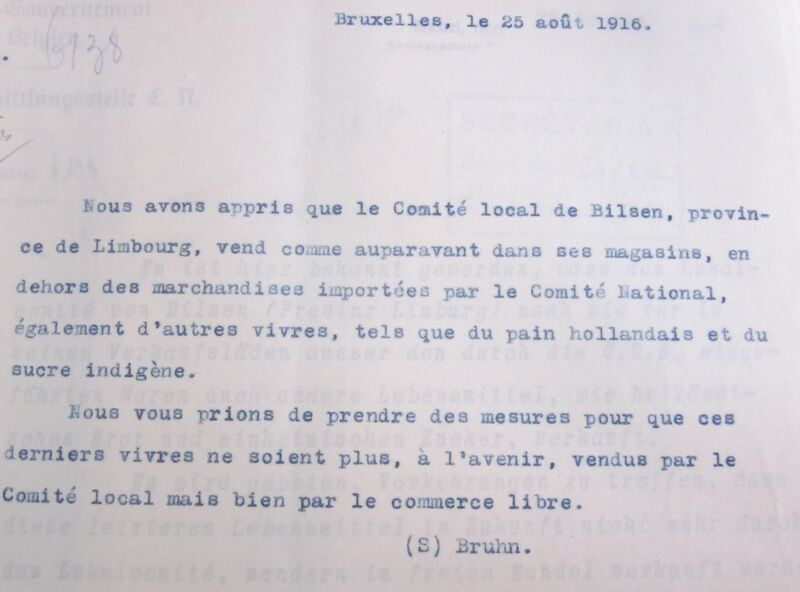 With the aim of reassuring the population when buying foods from the Communal Stores, a confidential report sent to the burgomaster of the City of Brussels in March 1916 declared, "an assistant Commissioner could randomly ask a person leaving from one of the stores to have the weight of a given product, purchased by weight, verified in his presence." An assistant commissioner could randomly ask a person leaving from one of the stores to have the weight of a given product, purchased by weight, verified in his presence. 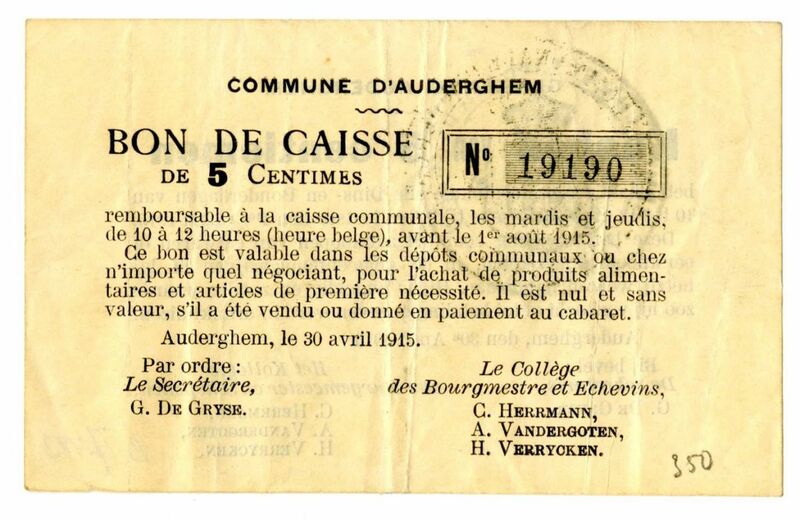 Despite these inspections, the day-to-day food reality of the Belgians and the supply of the Communal Stores with local products were often affected by random price increases. 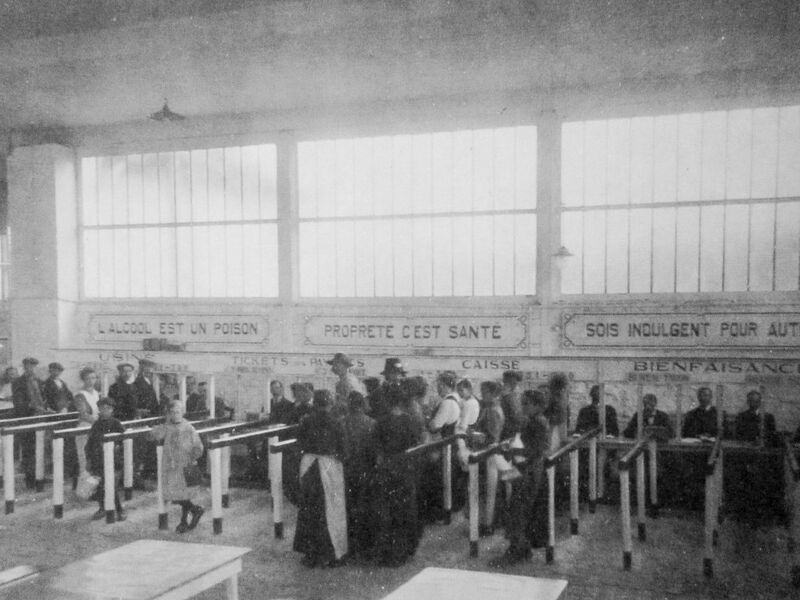 Some of the producers selling foods to the CNSA, for subsequent resale to the Communal Stores, included people who waited until the most critical moments of the shortages in order to resell their hidden reserves at exorbitant prices. 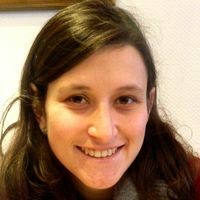 In the event of such transactions referred to as "anti-solidaires" (unethical), they lost the right to purchase basic necessity foods from the stores. In the mind of the consumer – and here is the definition – the Communal Store became, along with the National Committee, the great dispenser of foodstuffs known as basic necessities, and thereby looked after supplying the civilian population. The Communal Store therefore became a kind of UNOFFICIAL MONOPOLY of the things that were essential for life. Soon thwarted by the occupier and by the manoeuvres of hoarders and speculators of all kinds, revolted by the actions of traffickers, the Communal Cooperative will soon be able to only supply things that are thoroughly insufficient for subsistence purposes. (CNSA Executive Committee meeting from November 1916). 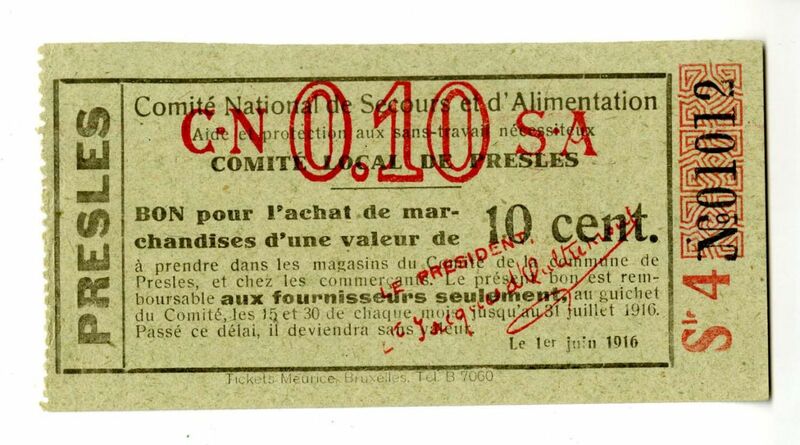 While awaiting the end of a war that affected the food habits of the Belgians on a daily basis, the CNSA had to find ways of adapting the available foods to the "basic necessity" demands of the population and of the salespeople in the Communal Stores. During the war period, that which was considered to be a basic necessity requirement in food-related terms was far from the nutritional principles on which our food is based today. Nevertheless, according to the excerpt from the document mentioned above, the reflections around what could be considered as an "unofficial monopoly" today in food-related terms as a result of advertising, multinational sales, lobbying, speculation, mechanized production and genetic alteration remain as topical as ever. Making dinner or eating out? Even with nothing, we can still invent drinks! Are there enough potatoes for the Belgians?